Services are Thursday, April 18, 2019, 10:30 a.m. at St. Paul’s Lutheran Church, west of Glenvil with Rev. Greg Gabriel officiating. Burial with military rites by the Nebraska National Guard Military Honors Team will be in the Immanuel Lutheran Church Cemetery, rural Hastings at 2:30 p.m. Memorials may be given to Immanuel Lutheran Church. Visitation will be Wednesday, 5-7 p.m. with family present at the funeral home, and one hour prior to the service at the church. Marlyn was born April 23, 1949, to Delton and Marie (Bunde) Bates in Hastings, Nebraska. He graduated from Juniata High School in 1967. He served in the Army National Guard, was on the Juniata Fire Department for thirty years and was a member of the Hastings Saddle club. He married Patty Graham on June 1, 1974. 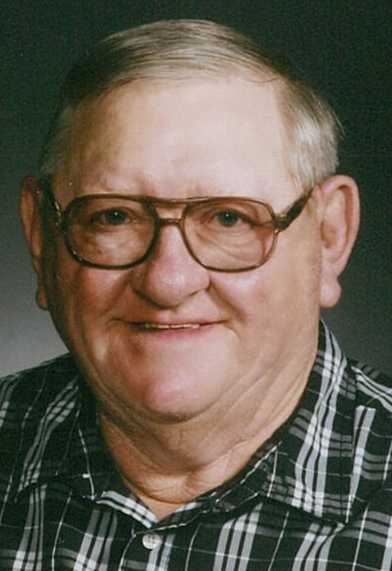 They were married forty-four years and he was a lifetime member of Immanuel Lutheran Church, rural Hastings. Marlyn worked at Juniata Feedlot, Weeks Family Farms part-time for 50 years, and then Adams County Roads Department for thirty-two years. He retired from the Roads department in 2015. He enjoyed spending time with his family, kids, and grandkids. He went to every grandchild’s events, any local sports games, and loved dirt track racing with nephews, brother, and his good friends. He was also a member of the Platte Valley Antique Machinery Association where they did tractor pulls with his son and grandkids. Marlyn really enjoyed being the socialite of Adams County and visiting with people. Marlyn was preceded in death by his parents; brother, Larry and brother-in-law, Steve Richardson.